Some 21 million years ago, around the time that the first known bipedal ape was believed to walk upright on two legs, a dying star in the Galaxy M101 ( Pinwheel Galaxy) exploded. The light from the explosion reached us around 08/24/2011 when it was discovered by the Palomar Transient Factory and has been designated "PTF11kly". The object, when discovered was at a magnitude of g=17.2, however as of this day (8/30/2011) it had increased to around 13.4 mag. 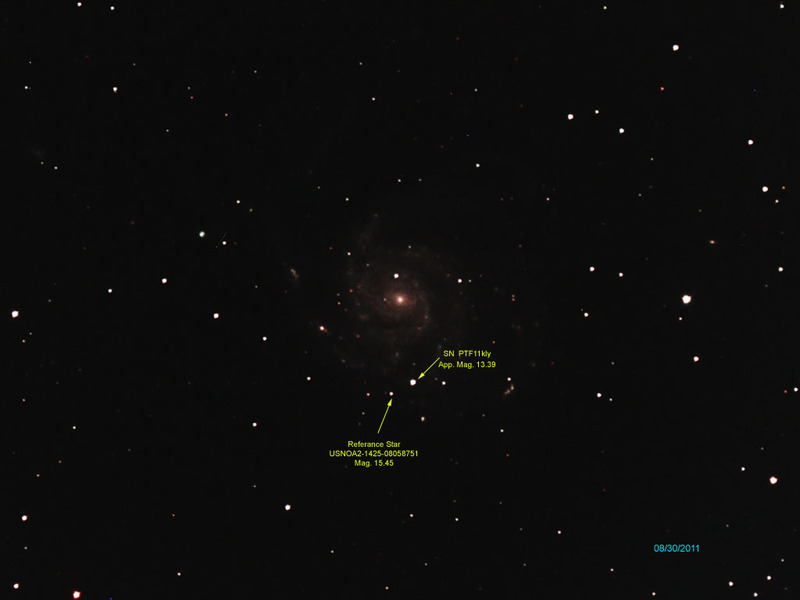 The object is well placed within M101 for good photometry.